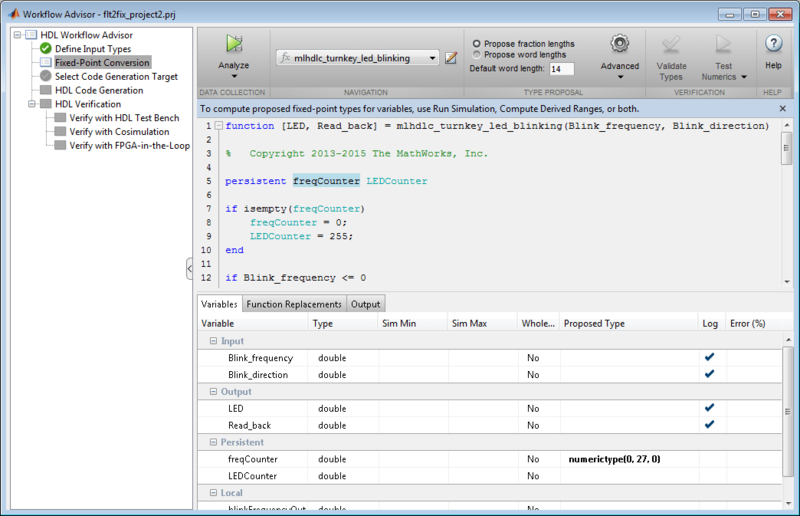 This example shows how to program a standalone FPGA with your MATLAB design, using the FPGA Turnkey workflow. The target device in this example is a Xilinx ® Virtex-5 ML506 development board. In this example, the function 'mlhdlc_ip_core_led_blinking' models a counter that blinks the LEDs on an FPGA board. Two input ports, Blink_frequency and Blink_direction, are control ports that determine the LED blink frequency and direction. You can adjust the input values of the hardware via push-buttons on Xilinx ® Virtex-5 ML506 development board. The output port of the design function, 'LED', connects to the LED hardware. %   Copyright 2013-2015 The MathWorks, Inc. Execute the following lines of code to copy the necessary example files into a temporary folder. % Create a temporary folder and copy the MATLAB files. Next, add the file 'mlhdlc_turnkey_led_blinking.m' to the project as the MATLAB Function and 'mlhdlc_turnkey_led_blinking_tb.m' as the MATLAB Test Bench. 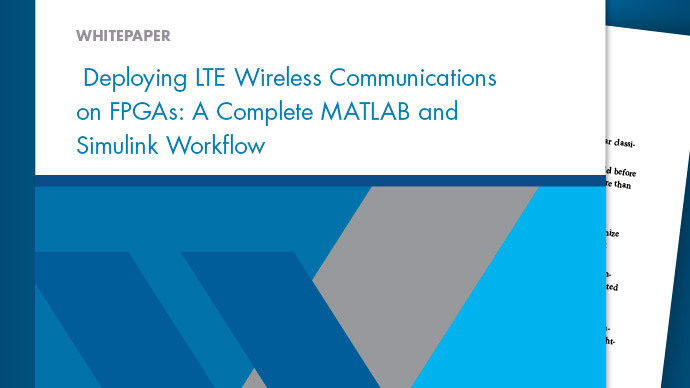 You can refer to Getting Started with MATLAB to HDL Workflow for a more complete tutorial on creating and populating MATLAB HDL Coder projects. 1. Right-click the Define Input Types task and select Run This Task. 2. In the Fixed-Point Conversion task, click Advanced and set the Safety margin for sim min/max (%) to 0. 3. Set the proposed type of the freqCounter variable to unsigned 27-bit integer by entering numerictype(0, 27, 0) in its 'Proposed Type' column. 4. On the left, right-click the Fixed-Point Conversion task and select Run This Task. 1. 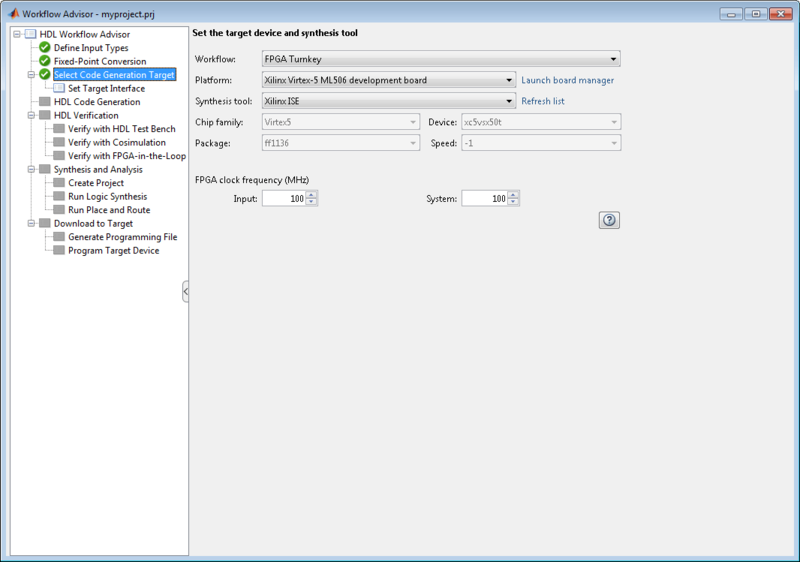 For Workflow, select FPGA Turnkey. 2. For Platform, select Xilinx Virtex-5 ML506 development board. If your target device is not in the list, select Get more to download the support package. The coder automatically sets Chip family, Device, Package, and Speed according to your platform selection. 3. 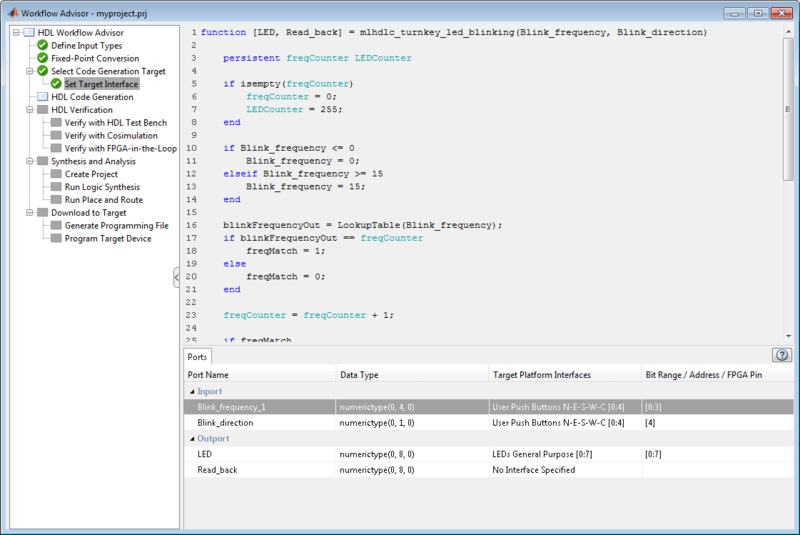 For FPGA clock frequency, for both Input and System, enter 100. You can leave the 'Read_back' port unmapped. 1. For the Synthesis and Analysis task group, uncheck the Skip this Step option. 2. For the Download to Target task group, uncheck the Skip this Step option. 3. Right-click Download to Target > Generate Programming File and select Run to Selected Task. 4. If your target hardware is connected and ready to program, select the Program Target Device subtask and click Run. You can run the following commands to clean up the temporary project folder.